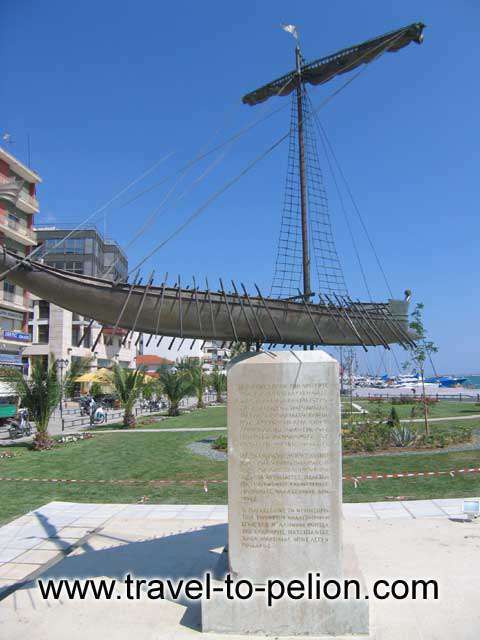 Homer also mentions the participation of Iolkos in the Trojan War, along with the other Magnesian cities among which is listed Phthia the birthplace of Achilles. After the Mycenean era, the cities of Magnesia began to decline and by the 4th century B.C., the province was just an insignificant province of Macedonia. During the course of Greek history, however, certain cities linked by a common characteristic - their proximity to the Pagasitic gulf restored a measure of its gold glory to the region. For example, one can cite Pagases, which flourished particularly during the 5th century B.C. Dimirias, founded in the 3rd century B.C. Phthiotic Thebes, an important city during the early Christian era; and Almiros a powerful commercial center of the 12th century.The Turkish occupation of Magnesia was unusual in that it did not extend into the eastern, inaccessible portion of Pelion, as a result, the coastal towns were abandoned in favor of the remote mountain villages there, which acquired a special cultural and economic luster becoming for the "teachers and fighters of the Greek nation".